This property has many amenities for its tenants, including ample parking, an open courtyard, basement storage and sidewalk connectivity to Union Street and Downtown. As a renovated historic property with lots of character, The Old Creamery has a modern feel with high ceilings, exposed brick, and lots of light. 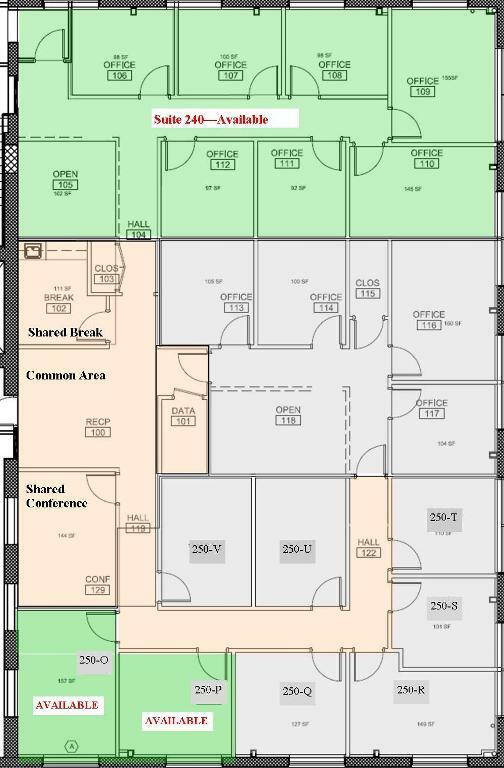 Offices shaded in green are available for occupancy. 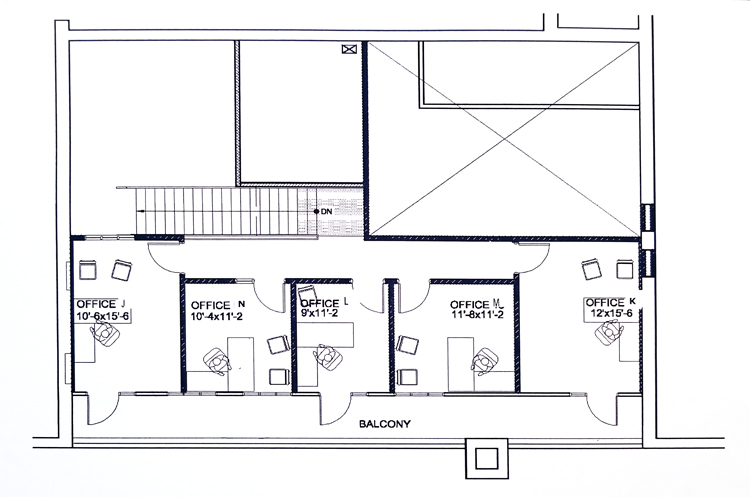 If you are interested in learning more about our Executive Office Suites and see which ones are currently available, please schedule a visit. The Old Creamery is a mixed-use development offering a vibrant setting for office, retail and restaurant tenants. Located on Church Street, a major thoroughfare linking I-85 and downtown Concord, the property comprises two historic buildings joined by an open-air courtyard. With ample parking, sidewalks, bike lanes, a bus stop and its landmark status, The Old Creamery brings value to tenants by creating an authentic experience for working, shopping, dining and gathering. Other tenants include: Independent Tribune, Cabarrus County Board of Elections, New Branch Real Estate Advisors, Community Blood Center, Cougar Run Winery, Ritchie Hill Bakery, Cabarrus County Veterans Services and Synergy Office Suites.